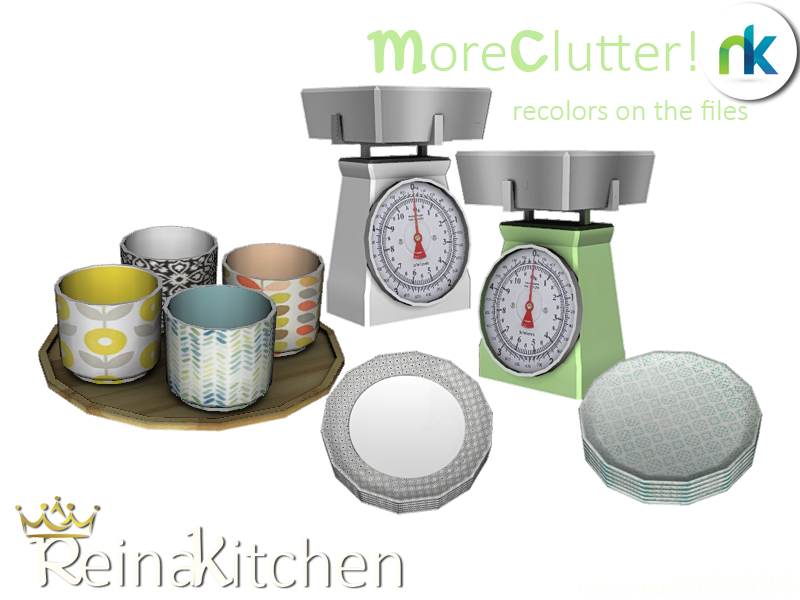 Here you are more kitchen Stuff plus recolors. 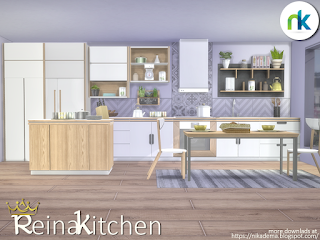 On the file, you'll find the four vases, the kitchen balance and the plates plus recolors. On the game, they look shiny and nice. 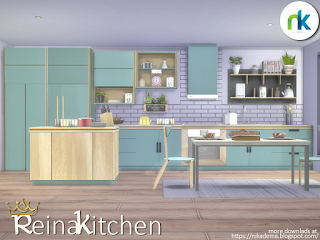 You can also download all the Reina Kitchen at my small space at The Sims Resource. Inspired on western colors and textures, but with a modern look. 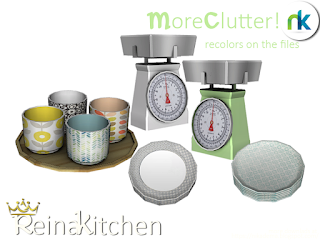 This kitchen set contains: counter, two cabinets, sink, table, stove, stove hood, table, chairs, picture and books. 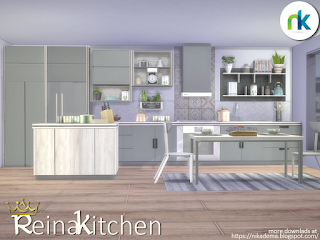 Inside each mesh you'll find recolors and even retextures. The composition is under you! Long time no see.. 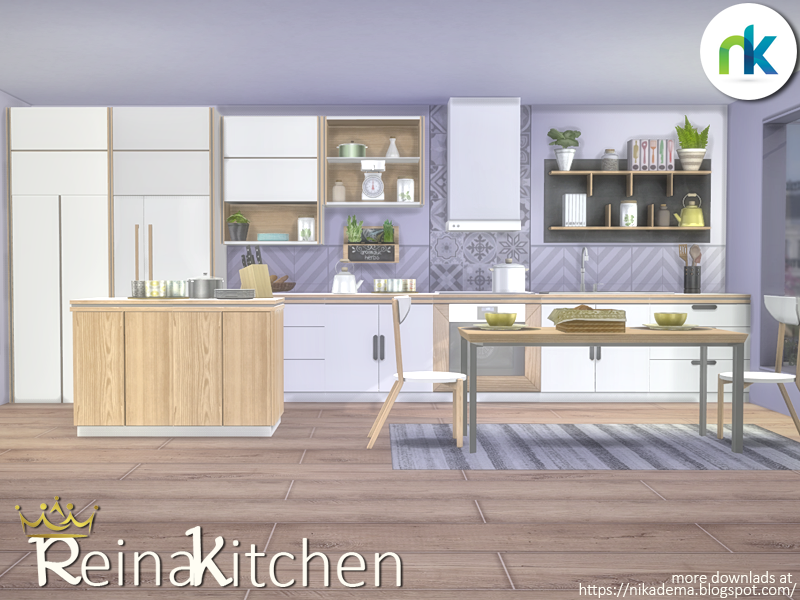 This time I've got a new set BUT for your sims 4. Feel free to recolor it or convert it to the sims 3, but please! give a link back. 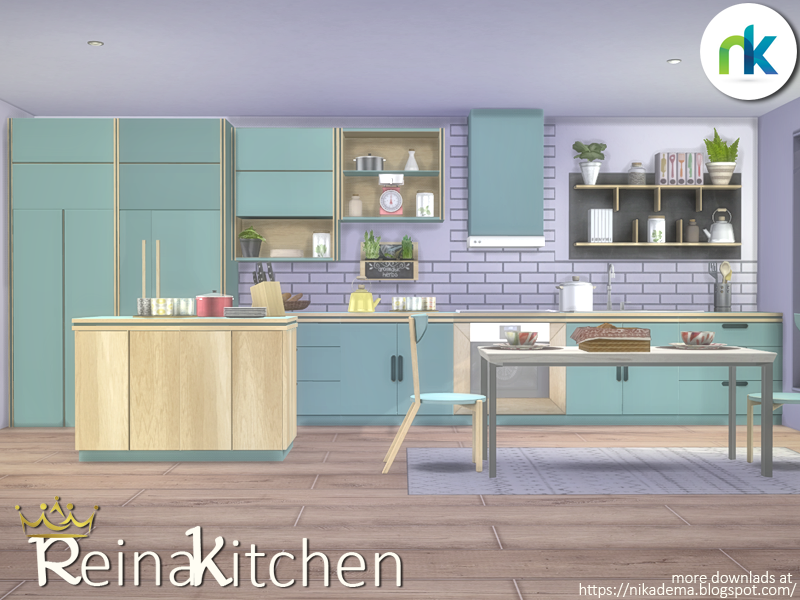 Meanwhile, I'll be studying on recoloring ;) This set contains: wicker sofa and table, love chair, cushions, candles with tulip and a tray with a magazine and a vase. The meshes have been tested. This is the first set of the "Elegance" series. It's a bathroom set and soon I'll come up with the kitchen. 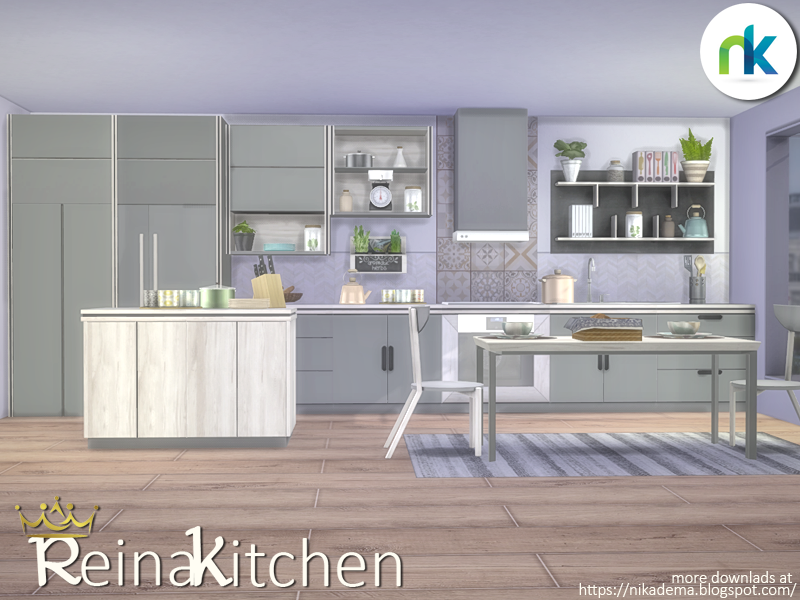 This set contains 7 new meshes, plus 2 tiles.